It's official - Saturday is the first day of spring! This is a wonderful time to freshen the home, and with Easter and Passover quickly approaching a new table setting could be the perfect way to officially welcome the changing of the seasons. Have fun and trust your instincts! If you’re curious about what I used above in the picture – here’s a list of the new spring linens on my spring table! Love everything you do! So happy to find your blog. I am loving the bright Spring greens, but lately I'm finding myself really drawn to the pinks too. These are all lovely! The colors are so beautiful! I love the bright cheerfulness of the Spring collection. 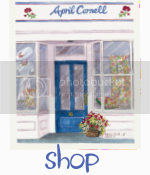 Ohh my...I have just spent the last hour visiting your shop! You have the most fabulous fabrics...colors and patterns! 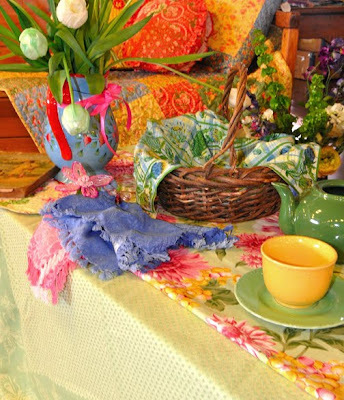 I hope to outfit my table with a few of your beautiful linens very soon! I am loving your new Spring fabric line with all that gorgeous vibrant color! My dining room is a bit on the dark side...done in a deep red and olive green, it is a bit of a challenge to lighten things up for the spring and summer seasons. I decided to use a Spring green...that pretty yellow-green shade! I would like to add in a second accent color...any suggestions? Hehe! 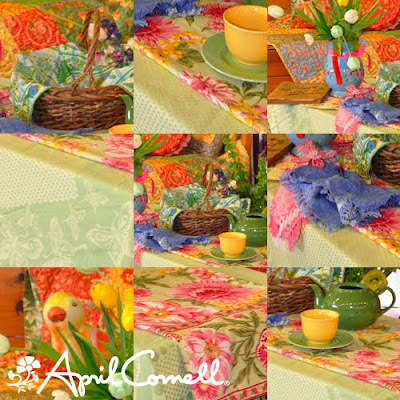 I really enjoyed your tutorial on how to dress a table for Easter/Passover over on your shop website...it was sooo yummy and full of color and pattern! I loved it! Thank you!!! I also wanted to thank you for coming by Happy To Design and adding my blog to your list of blog follows! I must say, I am just ecstatic and at the same time...very humbled! Thank you! I have added your delightful blog to my list of blog follows as well! I am sooo looking forward to seeing your upcoming posts!!! So very beautiful! I love all your colors. While I try to hold onto a little skiing and snowshoeing (in BC we're final;ly getting snow :-) I admit I am ready for spring colours and sunshine! This palette is bright and cheerful, time to bring my kitchen energy up a notch and this is just the inspiration (I love your linens and have mostly your pastels but now I feel a hit of cheery brights coming on)! Thanks for the inspiration! Hello, I have recently been introduced to your linens by Susan of Between Naps on the Porch, and Bill of Affordable Accoutrements. Your linens are just lovely! So colorful and so varied. So glad to find your blog!